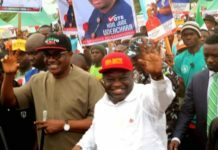 A founding member of the Peoples Democratic Party and its current Director of Procurement, Wole Oke, on Saturday said Justice Okon Abang of Federal High Court in Abuja, was misled by the facts before him in his judgment that sacked Okezie Ikpeazu as governor of Abia State. 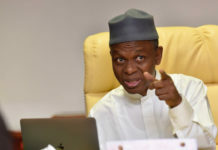 According to Oke, the ruling has resulted in creating political crisis in the state, adding that the crisis in PDP should be blamed on its leadership and state governors. 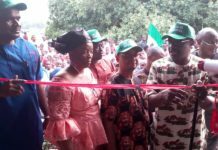 The PDP chieftain stated this in an interview with education correspondents, during the graduation ceremony of Lead British International School, Gwarinpa, Abuja. Oke said the political crisis caused by judicial pronouncements had become too many in Nigeria. He said, “The crisis in PDP is a very sad development; our leaders started the problems. The governors and party leaders caused all these problems. Although I am a foundation member of PDP, I am sure with time they problems would go. I think that the court was misled in the Abia State matter. If it has all the facts, I am sure that the judgment wouldn’t have gone that way. 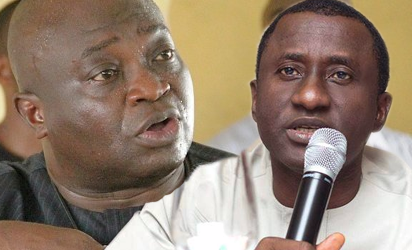 Meanwhile, a PDP member, Friday Nwosu, who contested in the Abia governorship primary, has faulted the judgment of the Federal High Court in Abuja which sacked Ikpeazu and declared Uche Ogah as governor of the state. On Friday, the Federal High Court, Owerri, dismissed Nwosu’s case by Justice A.I. Allagoa for his inability to prove that Ikpeazu’s tax documents were forged. Abang had nullified Ikpeazu’s nomination as the PDP candidate and directed the Independent National Electoral Commission to issue the certificate of return to Ogah. 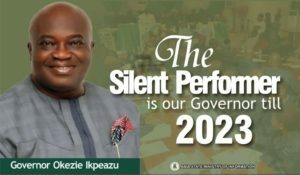 Commending on the judgment, the lead counsel to Ikpeazu, Theo Nkerie, said Abia State had a tax calendar which ran from January 1 to December 31, every year. 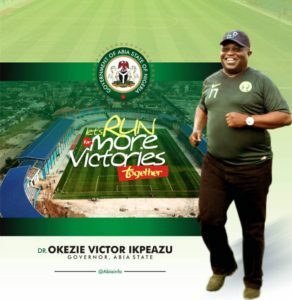 He added that Ikpeazu having worked for the state government within the period under contention only collected his tax receipts when he needed them. 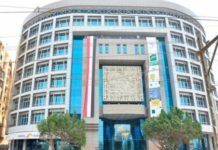 He said, “The PAYE (Pay As You Earn) system is very simple; it is the government agency that deducts taxes and remit to the Board of Internal Revenue. The civil servants will only ask for the receipt when he or she needs it and it will be issued serially from the same tax receipts booklet. However, Nwosu told one of our correspondents that the court erred in law when it declared Ogah as governor. He said, “The judgment is in error and cannot stand judicial scrutiny. 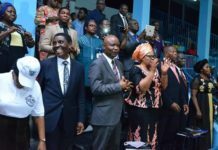 Dr. Uche Ogah should not be allowed to benefit from an exercise he totally condemned by refusing to sign the result and petitioning the party to conduct another primary election. He should wait for the rerun of the PDP primaries which he prayed for in his petition to the party. 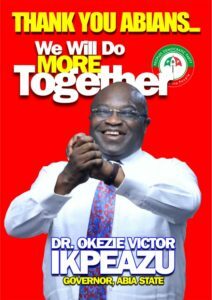 In the eyes of the law, Dr. Okezie Ikpeazu and I were the only candidates who contested in the party’s primaries. 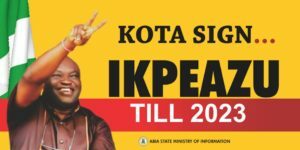 Since Ikpeazu has been disqualified, I remain the lawful candidate of the PDP and ought to be declared governor. 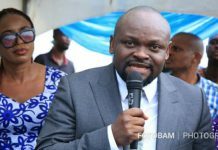 He stated that he would appeal the two verdicts and urged his teeming supporters across the state to remain law-abiding, adding that justice would be served on his petition which is being heard by the court.